Soak Sorghum millet in a separate bowl. Soak urad dal & fenugreek together in a separate bowl. Soaking is required for minimum 5 hours. Later, wash the urad dal & fenugreek mix once and grind them to a fine batter using grinder. Add a very little water while grinding. Transfer the batter into a bowl. Then grind Sorghum millet as well. At the end, pour the urad dal batter in the grinder and let it mix with Sorghum millet paste thoroughly. Mix Rock salt with the batter and keep it aside for 8 hours for fermenting. Before making Paniyaaram, prepare jaggery syrup and mix it with batter. To make syrup, powder the jaggery ball. Put it in a bowl. Soak it in water for few minutes so that the jaggery dissolves completely. Then boil the syrup for 3 minutes and turn-off the stove. Filter the syrup when it becomes slightly cool. Add the syrup in the Paniyaaram batter and mix it well. Check the sweetness. Heat the Paniyaaram pan and pour the batter in the moulds. When the top portion is cooked, turn the sides using a wooden stick. Remove Paniyaaram from the pan when both sides are cooked. Let it cool for 2 minutes and then eat. Heat oil in a pan. Add mustard & urad dhal mixture and let it sputter. Add Channa dhal and sauté till it becomes golden brown. Then add the chopped onion and sauté for few minutes. Pound pepper and add that in the pan. Turn-off the stove add chopped curry leaves. Put this mixture in the Paniyaaram batter and mix well. Add salt & extra water if required. 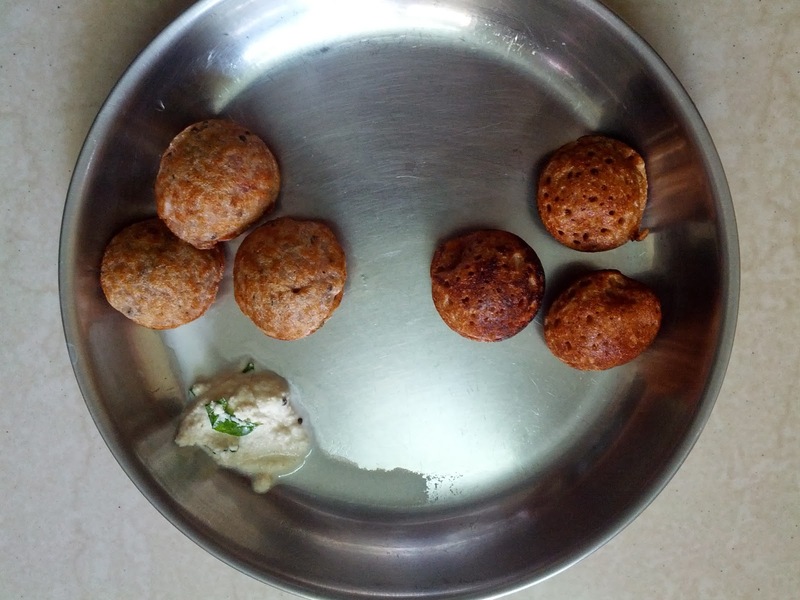 Use Paniyaaram pan and pour batter in the moulds. Cook both the sides and remove it from the pan. Let it cool for 2 minutes and then eat. You can also use Kodo / Proso / Little millet and Mappillai Samba (one of the traditional rice varieties) to make Paniyaaram instead of Sorghum. If you follow any other method to make batter, please continue with that. Just remember to use less quantity of urad dhal always.